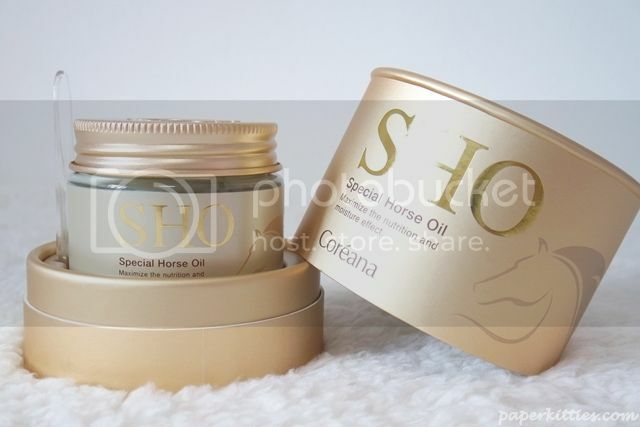 Horse Oil had been quite the rage lately when I saw massive bottles all over SaSa in my recent HKG trip. 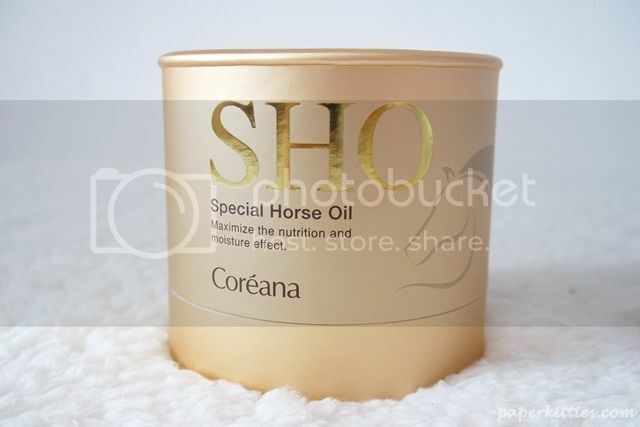 Apparently, horse oil’s fat cells are similar to human skin, so they get absorbed easily without side effects – bringing skin recovery, moisture, minimization of wrinkles, troubles treatment etc. 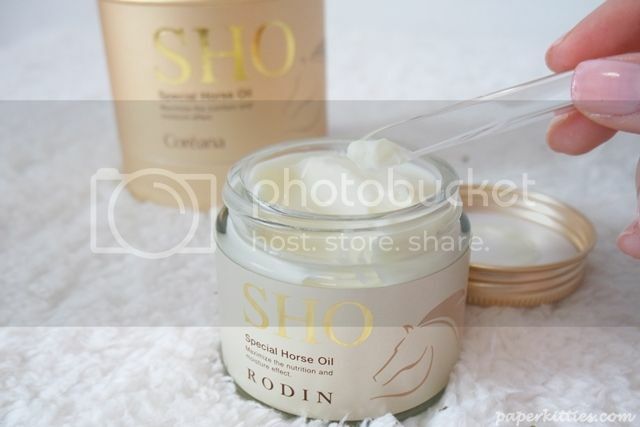 Coreana’s Rodin SHO cream not only contain that horse oil, but also 8 other ingredients from Jeju Island that work together to create a healthy and elastic skin. Its absorption rate is 15 times higher than regular oils, and aims to whiten the skin and care for wrinkles with the help of horse oil extracted from Jeju-living horses. 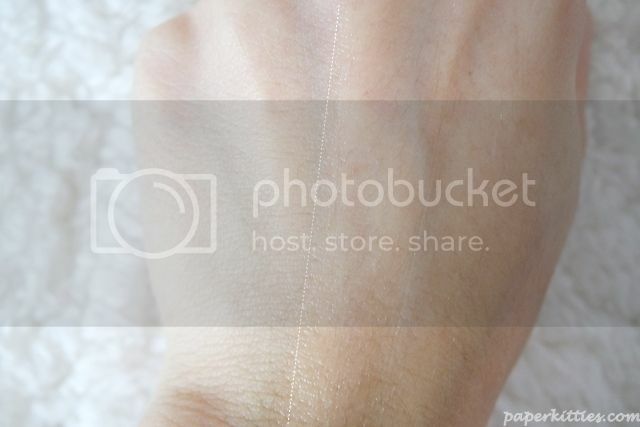 The thick texture of the product was pretty daunting initially. As most of you would know by now, I tend to steer clear away from heavy-duty moisturizers as they are too rich for my oily skin.. but for review sake, I had to proceed with caution by testing out on my hand first before eventually moving on to trying it out on my face. The consistency is much lighter than expected and didn’t take much effort to apply evenly on my entire face. A little goes a long way for this one and although it sinks in pretty quickly, but still leaves behind a greasy effect that I am not used to at all. Regardless, I head to bed not long after, praying that I won’t wake up to break outs. I was pretty surprised that though it did woke up to an extremely oily T-Zone, my U-zone was well-moisturized.. even the dry patches caused by my acne topical creams were gone too. I would have find this a perfect treat for my skin when I was down under but definitely not for the weather here in Singapore. Well unless you have extremely dry skin that is. Although it is meant to be a facial moisturizer, I have however started applying them on my elbows and eczema-related areas for intense moisturizing at night. So far so good!